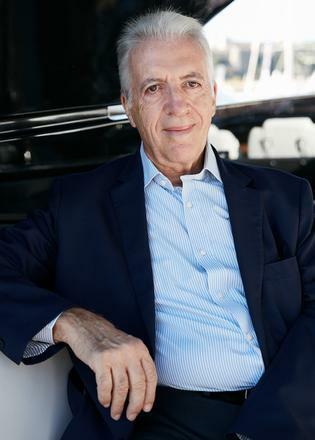 Piero Ferrari may come from a car background, but he also has a passion for boats. 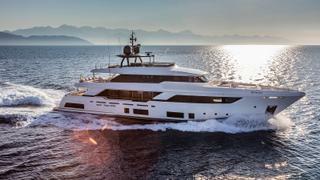 Ferrari's Navetta 37 Race. 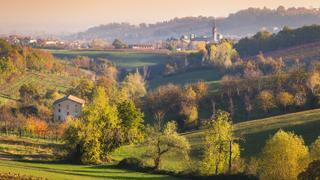 Image courtesy of Alberto Cocchi. Ferrari has owned boats since his 20s. 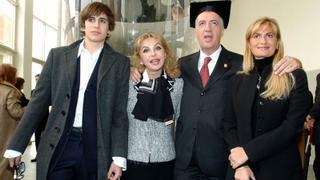 Ferrari receiving one of his two honorary degrees with his family. Image courtesy of Rex. 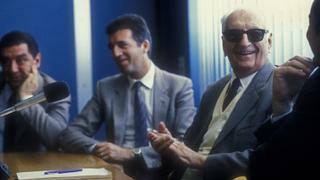 Piero and his father, Enzo Ferrari. Image courtesy of Rex. Pierro Ferrari in 1987. Image courtesy of Rex. 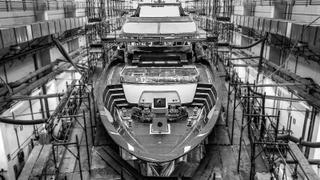 The Riva 50m, due to be delivered in March 2019. For a man whose whole life is all about speed, Piero Ferrari knows how to take things slow. He speaks softly, at a calm, unhurried pace as he lounges, in a perfectly tailored Italian suit, in the saloon of the stylish new Riva 110' Dolcevita at the Monaco Yacht Show. It’s a fitting place to meet, as his ties to the Ferretti Group, Riva’s parent company, run deep. Not only does Ferrari own a Riva Bahamas runabout and a Ferretti Custom Line Navetta 37 motor yacht, but he holds a 13.2 per cent stake in the Italian yacht builder, sits on the board, chairs its product development committee and is the vice-president of another company in the group, custom superyacht builder CRN. 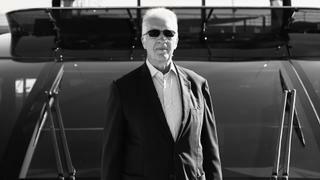 It is larger than the 10 per cent share he owns in the legendary car manufacturer with which he shares his name, and where he still serves as vice-chairman. Though it’s the height of the Monaco show, Ferrari insists he’s merely here “for a vacation to see some boats, maybe have a few meetings, and then disappear into my home in Monaco”. 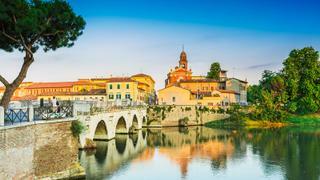 His main residence is in Modena, Italy, near Maranello, home to the Ferrari headquarters. The second and only living son of Enzo Ferrari, Piero was born in 1945, just two years before the very first Ferrari car, the 125 S, was introduced. He grew up with the company and watched as his father developed it into a true automotive empire. “He never had time for vacations,” Ferrari says of his father. On the rare occasions that Enzo did take the family away for a holiday, it was to Rimini on the Adriatic Sea, “because my dad very much loved the seafood there”. But on these trips the family merely admired the sea from afar. Enzo never had much interest in yachts. “My dad was a car guy,” Ferrari says, smiling. Race was designed to meet Ferrari’s specific needs. “I had in mind to have that size of boat,” he explains. “It’s a very balanced concept of contemporary design, and it’s very functional.” He insisted that the yacht have large windows for maximum light and that it cruise comfortably, so a good deal of attention was paid to hull design and stability. Ferrari has spent most of his time as a yacht owner at the helm, captaining the vessels himself. Now that he has the Navetta 37, he has a captain but he still enjoys spending time on the bridge and poking around in the engine room, fascinated by anything connected to the technology and management of a yacht. If he’d had his way, he would have studied engineering. “I wanted to be an engineer, but my father pushed me to do economics. My mentality is more engineering, and I never actually had a job linked to economics,” he says. Though Ferrari didn’t initially study engineering, later in life he has been recognised for his work in the field, garnering an honorary degree in aerospace engineering from the University of Naples Federico II in 2004 and another in mechanical engineering from the University of Modena and Reggio Emilia in 2005. 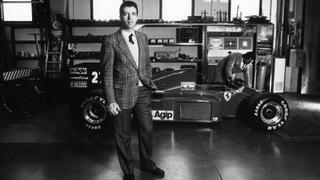 Piero’s first job was working at Ferrari. This was no nepotistic appointment to management; he was put to work in the purchasing department, buying parts for racing cars. He credits this first job with teaching him about the importance of quality in parts and how to negotiate. Carrying a name like Ferrari might seem a heavy burden, but Piero takes it in his stride – and appreciates the education his unique upbringing has given him. His business ventures have stretched beyond the automotive realm. He was president of Piaggio Aero Industries from 1998 to 2014 and was also a board member and vice-president of Banca Popolare dell’Emilia Romagna for a number of years. Today, along with his roles at Ferrari and Ferretti Group, he serves as chairman of the automotive engineering and manufacturing company HPE COXA. This isn’t the first time that the Riva and Ferrari names have been uttered in the same breath. 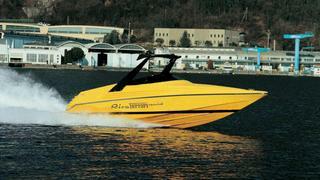 In 1990, a limited-edition Riva-Ferrari speedboat made waves. Only 30 hulls were built, and Piero still uses his on Lake Garda. The best part of any of his myriad jobs is when he gets the chance to climb behind the wheel, whether it’s to test a new boat or drive a new Ferrari. “It’s most fun when they come and ask my opinion about the feeling of a new car – or a new boat. The launch of a new boat is a very special moment.” Ferrari admits, however, to no longer attending the launches of his own boats. Once, many years ago, before his days with the Ferretti Group, he attended a launch and “everything on the boat broke!” He’s concerned he might be a jinx. Perhaps he’ll reconsider for the launch of his new 50 metre Riva, on which he plans to do more cruising and enjoy the chance to take his otherwise busy life at a relaxed pace.